I found THESE stars in a clearance bin a couple months ago & knew I'd be saving them for some sort of festive 4th of July project. (I got a pack of five for 60cents!!) They are stars that can be used for lighting up posters or school projects. And they blink!!! I decided to use them to make brooches (or pins). Now, if you don't have blinking stars, have no fear. 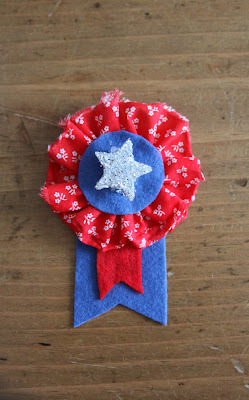 Just grab every red, white & blue scrap of fabric, ribbon, buttons, felt, & crafty odds-n-ends. Set them all in the middle of the table. 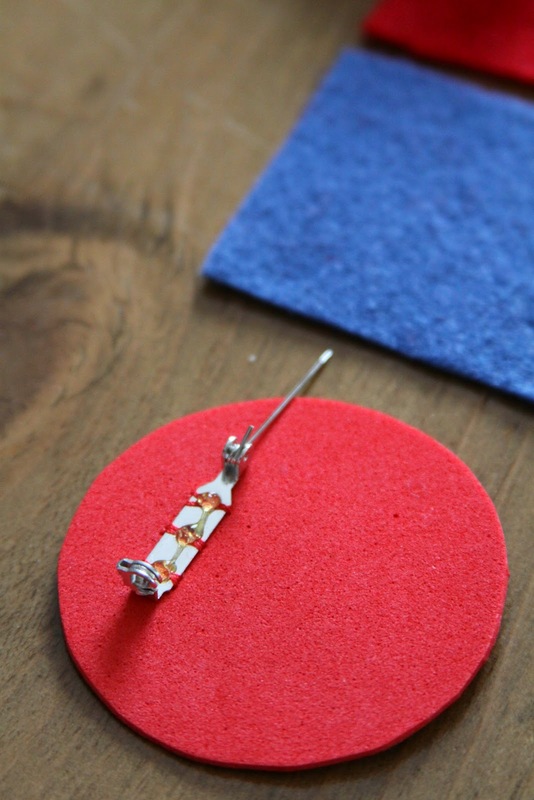 And let your kids go crazy making their own pin. I sewed & THEN hot glued the pinback on a circular piece of crafty foam. 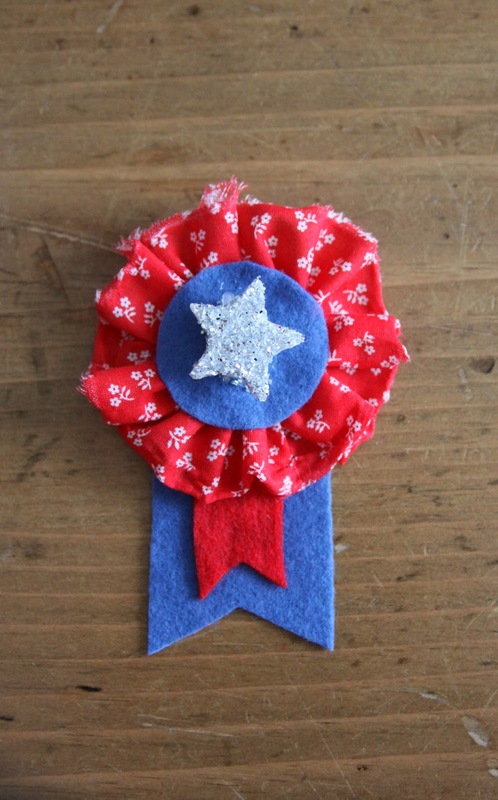 (For extra sturdiness.) But later I ditched the stitching & just used hot glue, which seemed to work perfectly fine. That's the base for your pin. 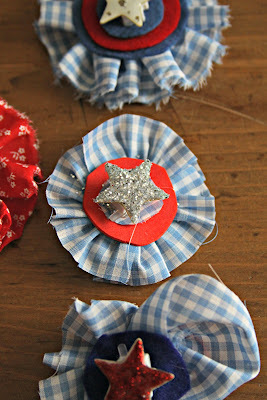 If you get that part set up, then let your kids go to crafty town by adding all sorts of trims, bits & embellishments. We used lids of spice jars to trace circles. 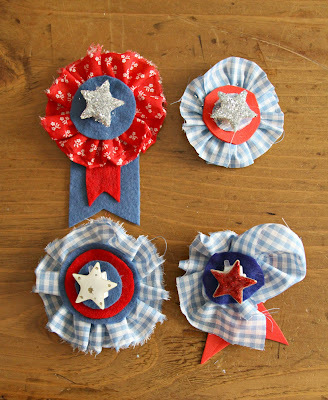 And gathered strips of fabric to make little rosettes. I hot glued everything together in the end. 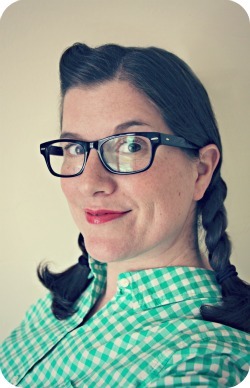 But you can stitch, or use tacky glue or whatever works. 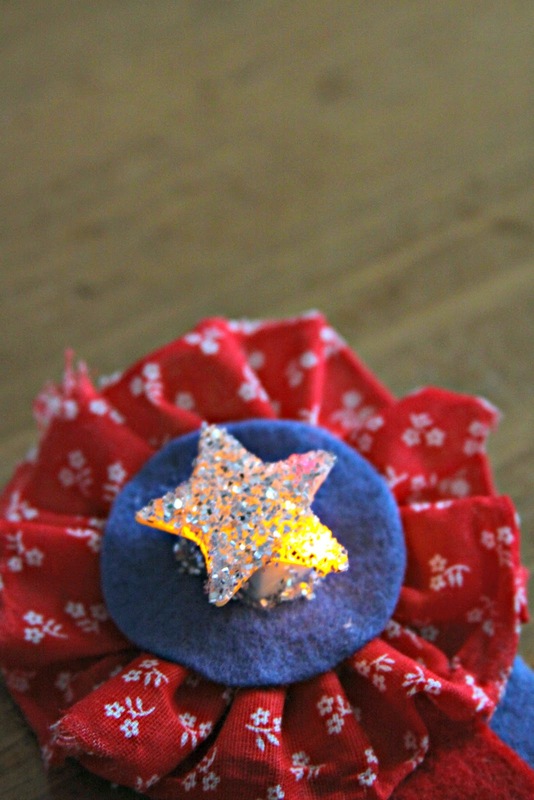 The last part was covering the star with glitter.